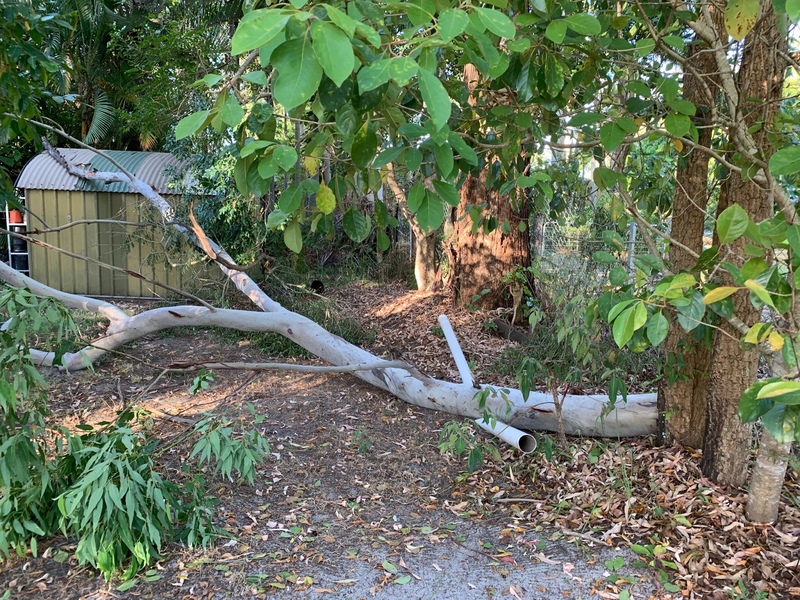 Last week, a falling gum tree branch took out the power to my house. I wasn’t there at the time, but others were, so it was all made safe, and fixed, by the time I arrived home. Meaning that I never got to see the live power wire sparking its danger on my front lawn; I could only imagine the culprit branch lying beside it which had aimed for the power line in its efforts to cause maximum hassle and annoyance. That tree branch, at its base? Easily 30 centimetres diameter. That’s not a ‘branch’, it was a whole ‘tree’! No wonder it took out the line – it came precariously close to goring my writing studio (okay, gardening shed) there too!